Philomena V. Mantella has been appointed president of Grand Valley State University in Allendale, Michigan. When she assumes her new duties on July 1, Dr. Mantella will be the first woman to serve as president of Grand Valley State University. Grand Valley State University enrolls nearly 22,000 undergraduate students and more than 3,000 graduate students, according to the latest data supplied to the U.S. Department of Education. Women make up 59 percent of the undergraduate student body. Currently, Dr. Mantella serves as the senior vice president and chief executive officer of the Lifelong Learning Network at Northeastern University in Boston, Massachusetts. She has been an administrator at Northeastern since 2001. 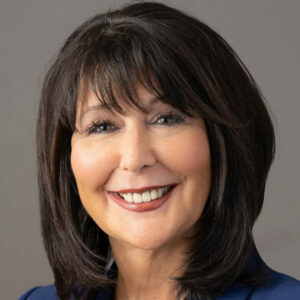 Previously, she has held administrative positions at Pace University in New York, Fairleigh Dickinson University in New Jersey, the State University of New York College of Optometry, and Ferris State University in Big Rapids, Michigan. Dr. Mantell holds a bachelor’s degree in social work and a master of social work degree both from Syracuse University in New York. She earned a Ph.D in college and university administration from Michigan State University.